A reliable source for Steel Workbenches information and a resource for accessing leading Steel Workbenches and suppliers. Steel workbenches are usually used in industrial or commercial facilities where a multi-purpose space for projects is necessary. 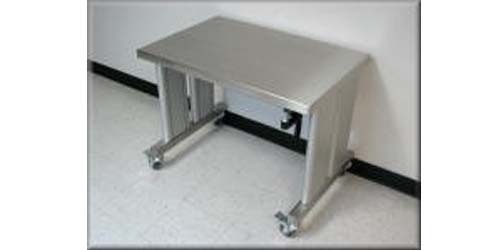 Manufacturers usually build metal workbenches using stainless steel because of its anti-corrosive qualities. Stainless steel creates a rigid frame and gives the workbench a finished look. Steel Workbenches Steel workbenches are usually used in industrial or commercial facilities where a multi-purpose space for projects is necessary. 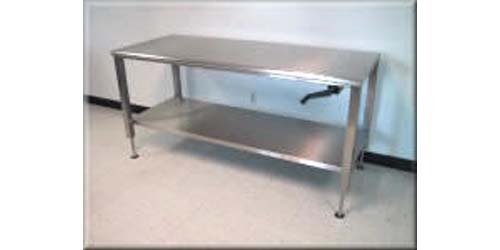 Manufacturers usually build metal workbenches using stainless steel because of its anti-corrosive qualities. Some steel workbenches can fold up for easy storage when they are not being used. Others have small caster wheels on the legs to make them mobile. Manufacturing of steel workbenches typically starts in metal fabrication plant where the steel sheets are cut down to size and shaped into the parts of the workbench. Steel Workbench – RDM Industrial Products Inc. They are shaped either by heated the steel and setting is using a mold, or bending it into shape with a cold press process. Once the pieces have been shaped, they are carefully welded together by hand or by an automated welding machine. Automated welding machines are usually used because they are faster and more precise, allowing for efficient, top quality welds. Proper welding of all the joints on the steel frame is important for the workbench's strength, especially if it is expected to bear a lot of weight. A steel workbench can be very simple, but it is usually fitted with a few accessories for convenience. Shelving, cabinet doors and drawers can all be built in to the frame for storage and quick access to tools when the workbench is being used. Locks can be fitted to these drawers to secure valuables. Sometimes overhead lights or extra electrical outlets are integrated into the design of a steel workbench to make things more visible and make it very easy to connect power tools to an electrical outlet. Most workbench manufacturers design and create a wide variety of steel workbench products that start with the most basic type and move all the way up to a unit that is loaded with extras. Each industry has different needs, so customers need options when they go to buy a workbench.